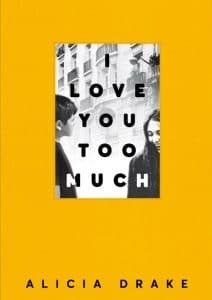 I Love You Too Much takes place in the Sarkozy era, a period she calls narcissistic. “Paris and Parisians seemed so turned in on themselves,” she remarks of the time. Paris was at odds, she says, with the multicultural and open London; it was a very closed and archaic city in a way. It was also privileged, she resumes, “and the privileged people thought that they could keep reality outside, in the suburbs. It was like ‘us and them’, that was the kind of feeling within Paris.” This is what she’s trying to evoke with the novel and its characters: “this nonreality of their lives at that time”. She talks to me about the heavy inclusion of food in her “difficult book”. Paris is full of delicious food at the same time as being a place where there is extreme pressure on both males and females to be thin, she explains. She reverts back to the idea of Parisians having to meet the aesthetic demands of their home: “You have to live up to Paris with your silhouette.” But for her overweight protagonist, she resumes, food is his comfort, what he turns to in the absence of unconditional love. “French people are so self-disciplined, in having this food at their disposal, and yet never being excessive with it.” So she wanted to present a child, she says, for whom this excess is the only way of getting through the day. Paul’s mother Séverine might be considered cold at times towards her son. Drake, a mum of five herself, cites the difference between motherhood in Paris and in the UK. It’s “incredibly sentimental” over here, whereas it isn’t in France’s capital. 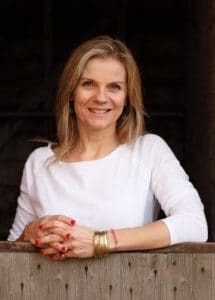 “[Parisians] can be – and they are – wonderful mothers, so I’m not criticising their approach to motherhood, but they don’t seem to be bogged down by guilt, which is a big feature of British motherhood.” UK mums worry they’re not doing right by their kids, she continues, that they’re not good enough – Parisian mums don’t question themselves like this.